Comment from Richard Erwin, General Manager, Roche UK, in response to positive Scottish Medicines Consortium (SMC) Detailed Appraisal Determination (DAD) on Kadcyla for the treatment of adult patients with human epidermal growth factor type 2 HER2-positive, unresectable locally advanced or metastatic breast cancer who previously received trastuzumab and a taxane, separately or in combination. Welwyn Garden City, 10 April 2017: “Roche is delighted that the SMC has reversed its previous decision (issued in October 2014) and has now recommended Kadcyla to be routinely available across Scotland for women with advanced HER2-positive breast cancer for the first time.1 This news will be welcomed by the many women in Scotland living with one of the most aggressive forms of breast cancer who have never had access to Kadcyla before. 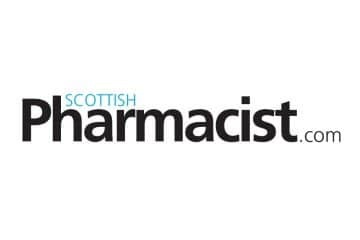 “For more than two years, women in Scotland with this aggressive disease have been denied access to this life extending medication through the NHS. Meanwhile, women in England have been able to freely access it via the English Cancer Drugs Fund (CDF). “Women with advanced HER2-positive breast cancer in Scotland will now be able to access Kadcyla, which is clinically proven to extend their lives by an average of 5.8 months compared to the previous standard of care.2 For women with short life expectancies, this extra time is significant; potentially allowing them to spend one more Christmas, birthday or anniversary with their loved ones. “Throughout the reassessment of Kadcyla, Roche has worked collaboratively with patient groups and groups within NHS Scotland to find a solution that makes this important life-extending medicine available for women in Scotland. Roche has offered an improved patient access scheme, which has been accepted by the SMC.